“Where does a guy start, Ive struggled with my weight my entire life. Tried every “easy way out” trick in the book nothing seemed to help since after all eating has been a life long hobby. I was introduced to crossfit then soon after the Keto diet, lost weight but still wasn’t happy with where I was until McKay. She took me under her wing and introduced me to proper nutrition. She’s changed my life and I’ll be forever grateful! The proof is in the pictures. 12 weeks and the beginning portion was reversed dieting. I truly look forward to continued work with her and where she can help take me! I got started with MyoBrain March of 2018, and I have lost roughly 35 pounds and a lot of fat and inches. I gained a lot of weight during nursing school and couldn’t seem to loose it. I had tried a couple of different fad diets and nothing was helping. I had seen some people at my crossfit gym tracking macros and had great success. Myobrain is a great program because it teaches lifestyle changes that can be maintained. Weekly email updates keep you accountable and on track, and Greg changes your macros as needed based on weight loss/gain and goals. I highly recommend this program to anyone!!!! It’s worth the money for sure! "MyoBrain and working with Greg was one of the best decisions I have made. It was more than just numbers and tracking, it was education that helped me get my body looking and feeling better than ever. And now I know how to make better nutritional choices while still getting to do the fun things I enjoy doing with friends and family. " I have always eaten whatever I want. To an extent. I know what is good and what is bad for me but I have never dieted. I never counted or even kept track of what I was eating during the day until I started dealing with macros. August of 2015, my appendix ruptured and I was misdiagnosed so I tiny problem became a HUGE problem. I got very, very sick! I lost 28 pounds in 12 days. I was gross. Ha. For the next few months I couldn't do anything active at all. I wanted to gain some weight back without getting fat! I heard about Greg, Myobrain and his whole macro thing so I decided to email him with some questions. I signed up with him and have been with Myobrain ever since. At first I hated it haha. I had to eat so much food. It was hard. But! I gained my weight back and didn't get fat...My goal. I still enjoy counting macros and knowing how much food I'm eating or not eating. It has really helped my performance in CrossFit. I eat more than I ever have. I'm strong, my energy level stays high and I still manage to stay lean. I love it! As a gym owner and avid lifter I am constantly asked questions regarding nutrition. Greg has been vital in the development of my clients at Kansas City Strength & Conditioning. Several clients of mine have used MyoBrain over the past year and the clients that use Greg for nutrition consultations have progressed significantly more compared to my clients that don’t’. Personally, using MyoBrain, I have been able to make substantial strides in regards to my body composition and physique. 12 Months ago I weighed in at 210 lbs. and my body fat percentage was around 15%; one year later &amp; I now weigh 175 lbs. at roughly 6% body fat. I am lucky to call Greg my nutrition coach. Working with Greg not only made me more aware of flexible eating, but also gave me the opportunity to share healthy eating ideas and alternatives to my clients and athletes. Since Greg brought MyoBrain into HomeBase our performances and body compositions have taken a positive change and has made a positive impact on our community. Greg's knowledge and his ability to make healthy eating fun is effective and educational. Thank you MyoBrain! One of the things I really liked about the program was how organized they were. It felt like I was able to pick up on the system, and once I figured it out I could continue to hit my macros and see instant results!! There wasn't really anything I didn't like. I am a visual learner and there were many things on the program as well as things that you sent me additionally. It was very efficient! I love your business and thanks for all the help you have given me!! I've been overweight most of my adult life. About four years ago, I successfully lost nearly 50 lbs by following the paleo diet. Around this time, I also joined a Crossfit gym. With the support of the Crossfit community and the avoidance of "non-paleo" foods, I was able to keep it off. Then life happened. I started to miss some of the foods I used to eat. They started to creep back into my diet and the pounds started to creep back. My clothes stopped fitting and I didn't like what was happening to my body. Greg came to my gym and talked about flexible dieting. He told us that no food should be off limits. He talked about the importance of eating a good balance of macronutrients (protein, carbohydrates, and fat). As a birthday gift, my husband agreed to let me sign up for nutrition consulting. Greg met with me to answer all my questions and set me up with a plan. I was able to see results right away! As long as I followed his plan, I did very well. The great thing about MyoBrain, is that he has also built a very fun community that answers your random questions and provides support. I've made some new friends as a result! I highly recommend giving this a try. If you can follow instructions, you can succeed at flexible dieting. I've been able to develop positive and healthy eating habits and I am more mindful of how I put together a meal. I met Greg Farris back in college at Emporia State University. Like many new and young health professionals I was extremely narrow minded about the whole fitness industry and could not fathom how “flexible” dieting could possibly be a right way to get healthy. After competing my first bodybuilding show nearly two years ago, following a typical cookie-cutter diet and exercise routine, I finally decided there had to be another way. Greg finally convinced me to join MyoBrain and I don’t know why I ever waited! That’s when I finally jumped on the flexible dieting. He is extremely passionate, knowledgeable, and hands on in all aspects of fitness and nutrition. He’s more than just another person with a degree and certification claiming to be an expert. Upon joining, my initial goals were to become more knowledgeable about DUP exercise programming, increase strength, and also improve body composition. 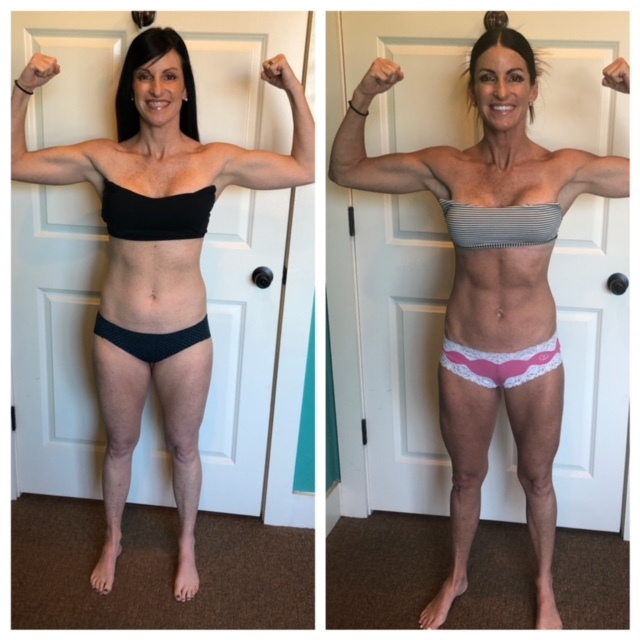 Since working with Greg my strength, form and body composition have all made significant improvements all the while being extremely flexible with my nutrition. We have a plan to work towards another bodybuilding show in the near future, and I cannot think of any person I would trust more than Greg Farris and the MyoBrain team! Greg Farris is not just an intelligent coach that understand the science and the importance of flexibility when it comes to health & fitness, he's also a true gent and humble coach. With Greg's guidance I can focus on other areas of my life, knowing I am in secure hands, this is invaluable to me. Currently under 20 weeks out from my first natural bodybuilding show, doing 1 cardio session a week, eating almost 3000 calories and I can still go away on holiday with my girlfriend. That's enough evidence that Greg is a terrific coach and I hope to replicate his skills in my own coaching. My goal was simple, to get stronger. Over the past 4 months Greg has helped me increase my meet deadlift by 66 lbs (385 to 451) and squat 35 lbs (370 to 405.) In addition to great programming Greg and team MyoBrain have helped build my confidence alongside my strength. A benefit not typically seen in the strength coach job description and is what, for me, makes MyoBrain the place to be.